A playing card gently floats off the deck, mysteriously hovers above it, then slowly comes to rest balanced on one corner! 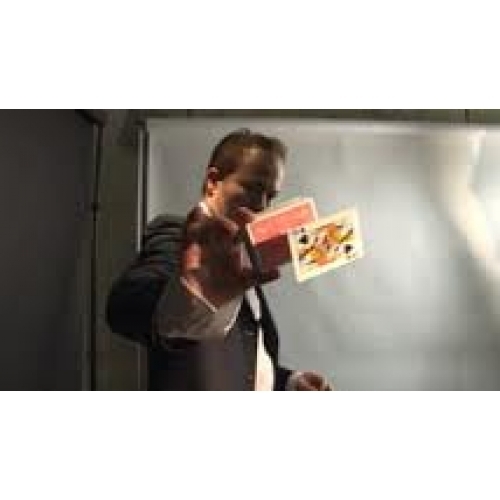 The magician motions to the card and it slowly floats back onto the deck. The card is then shown on both sides and can even be handed out for complete examination!